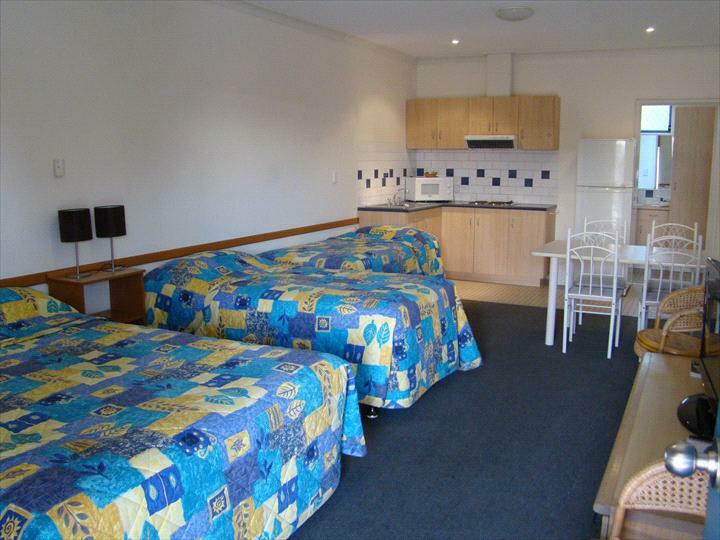 Great location and only a short stroll to cafes, restaurants, shopping, wine bars and beach! Come and explore all the attractions of the South West region including the famous Margaret River Wine region. At the end of your day, enjoy our relaxing Outdoor heated spa, undercover BBQ area or enjoy our tranquil garden setting. Located in the south west of Western Australia, Dunsborough is one of the State's favourite seaside resort towns. 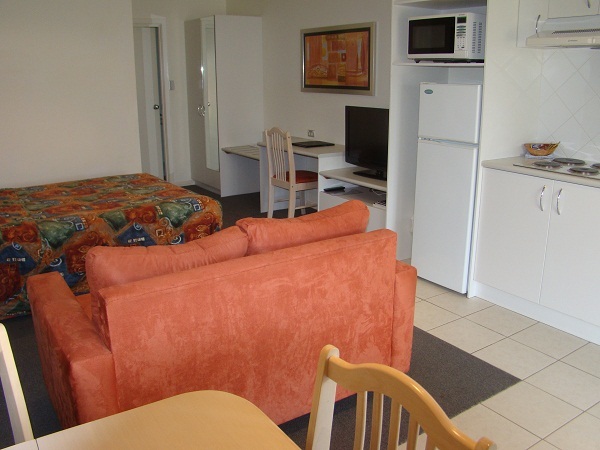 Dunsborough Central Motel is conveniently located in the heart of town. An array of shops, cafes, restaurants, wine bars and the beautiful Dunsborough foreshore are all within a leisurely stroll. Dunsborough is an excellent base to explore the many world class wineries, fine restaurants and picturesque vineyards in our Margaret River wine region. Extensive maps of the region are available from our reception area should you prefer to self drive. Our friendly and helpful staff will be happy to assist you with any tour or restaurant bookings or if you require further information. In Spring, the Wildflowers are in bloom and the Whale watching season commences. Perhaps you prefer to experience the natural beauty of the area? Then we suggest you explore one of the many easy bushwalks closeby. 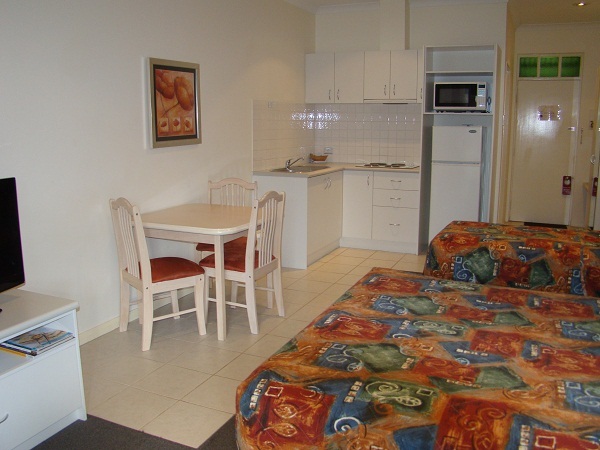 Dunsborough Central Motel - "Affordable accommodation and warm hospitality in the heart of town". 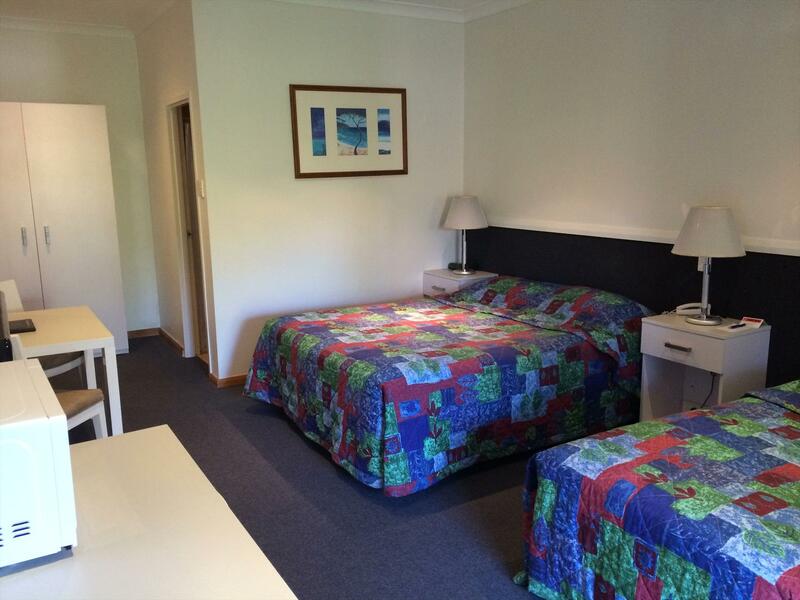 Comfortable motel style room with private ensuite bathroom. Bedding configuration: 1 Queen bed + 2 Single beds. Free in-house movies. Free tea/coffee/toast making facilities. Continental breakfast basket available upon request for $10pp. Reverse cycle airconditioning. Rate is for 2 adults and 2 children. Children 15 years and over charged at adult rate. Children under 15 years free when using existing bedding. Extra adults at $20pp/pn. Folder beds extra at $20pn. Porta Cots (limited) are free of charge. Modern decor, open plan room opening onto tranquil garden area. Spa (with shower over), comfortable sofa, table and chairs. Kitchenette including microwave. Reverse cycle airconditioning. Free tea/coffee/toast facilities. Continental breakfast available upon request for $10pp. Free in-house movies. Suitable for couples or single person as bedding configuration is queen bed only. Comfortable motel style room. 1 Queen bed + 1 Single. All rooms have private ensuite bathroom, flat screen digital TV with 2 FREE in-house movie channels, reverse cycle A/C. Children 15 years and over charged at adult rate. Children under 15 years free when using existing bedding. Continental breakfast available upon request for $10pp. Free tea/coffee/toast making facilities. Free in-house movies. Extra adults at $20pp/pn. Folder bed extra at $20pn. Porta cots (limited) are free of charge. 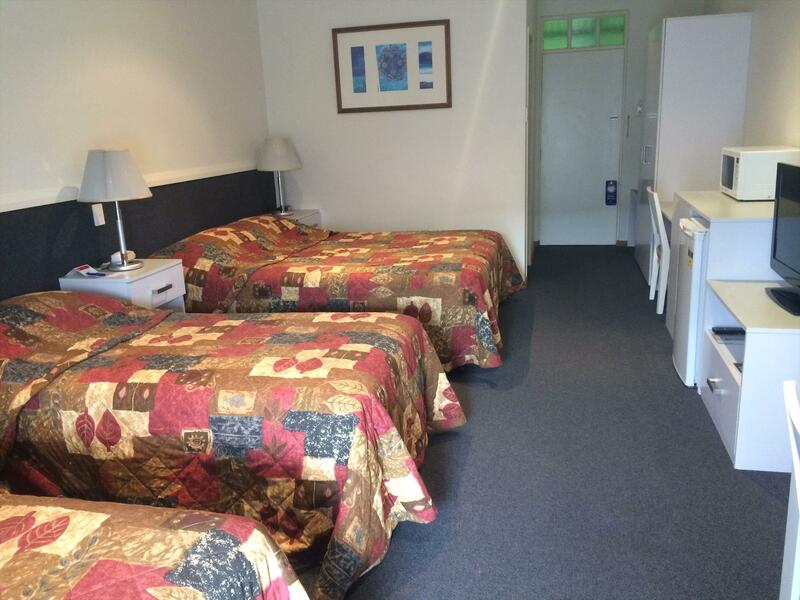 Comfortable superior motel style room with kitchenette complete with microwave and private ensuite bathroom. Bedding configuration: 1 Queen + 1 Single. Children 15 years and over charged at adult rate. Children under 15 years free when using existing bedding. Reverse cycle airconditioning. Continental Breakfast available upon request for $10pp. Free tea/coffee/toast making facilities. Free in-house movies. Extra person at $20pp/pn. Folder bed extra at $20pn. Porta cots (limited) are free of charge. 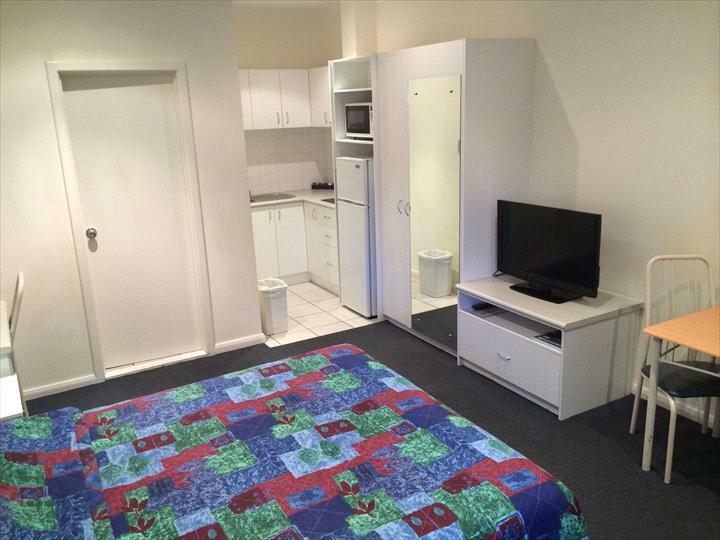 Comfortable superior motel style room with kitchenette complete with microwave and private ensuite bathroom. Bedding configuration: 1 Queen + 1 Single. Children 15 years and over charged at adult rate. Children under 15 years free when using existing bedding. Continental breakfast available upon request for $10pp. Reverse cycle airconditioning. Free tea/coffee/toast making facilities. Free in-house movies. Extra person at $20pp/pn. Folder bed extra at $20pn. Porta cots (limited) are FREE of charge. 24 hours CANCELLATION POLICY APPLIES - (48 hours during public holiday weekends or peak season). Cancellations MUST be made 24 hours (48 hours during peak season) prior to arrival date/time in order not to incur a cancellation fee of one nights accommodation.